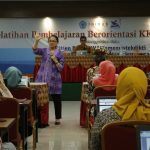 Semarang | Oral health needs to be maintained well because it is important. One of the aspects of oral health is dental care, especially for children’s development (pedodontal). The most ubiquitous diseases in children are dental caries or cavities. It can be indicated by the damage of enamel and dentin due to bacterial metabolism within dental plaque which resulted from demineralization. This material was briefly presented by Dr. drg. Niekla Survia Andiesta, Sp. 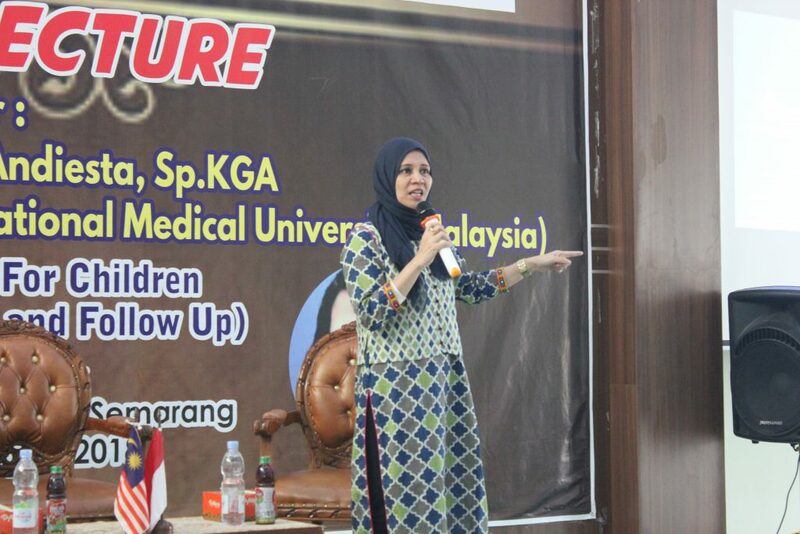 KGA from International Medical University Malaysia in General Lecture at RSGM hall of Unimus (13/08/2018). 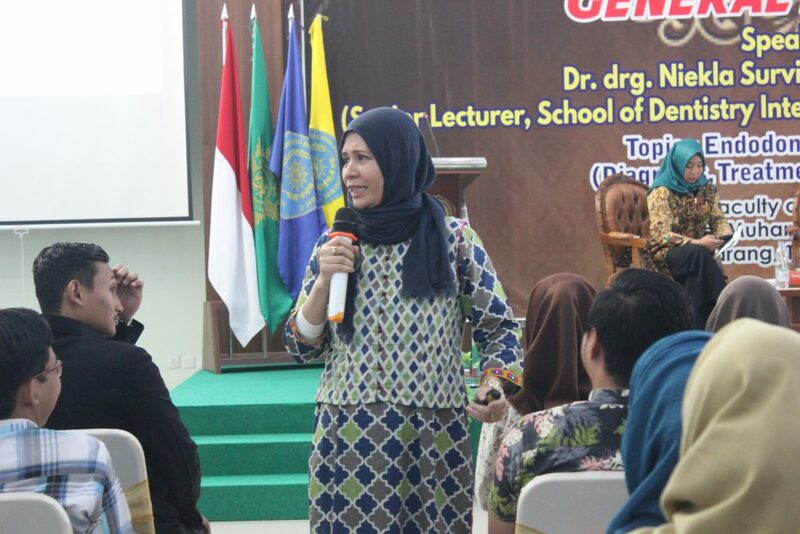 This agenda entitled “Endodontic For Children (Diagnosis, Treatment, and Follow Up)” was successfully carried out by Faculty of Dentistry of Universitas Muhammadiyah Semarang. drg. 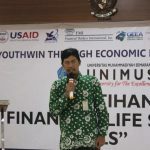 Budiono, M.Pd, The Dean of Faculty of Dentistry in Universitas Muhammadiyah Semarang delivered his welcoming speech. Dental caries in children needs to be handled soon because it will trigger painful that disturb children’s development. Niekla explained that children’s symptoms will definitely determine diagnosis. 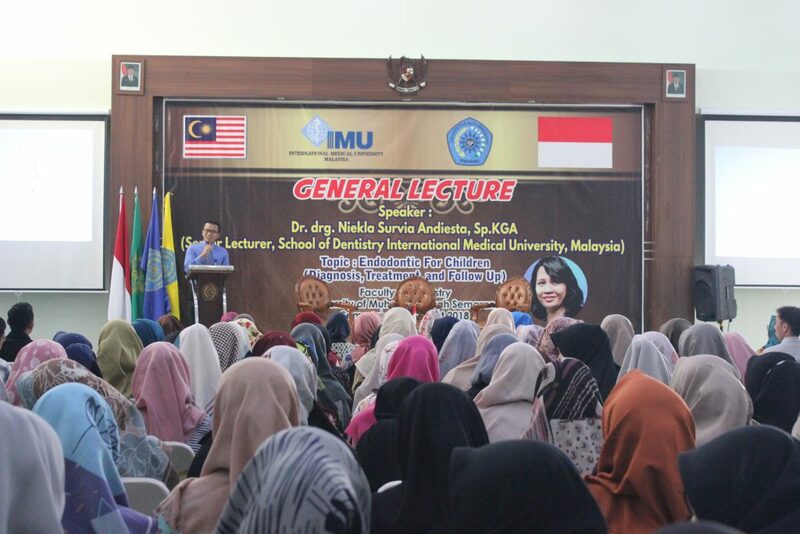 “Thus, as prospective dentist, students of dentistry should be aware of their patients’ condition. For instance, if parents take their children to dentist, you have to be fast and responsive. Good dentist should carry anamnesis to identify patients’ medical record, history, location, severity, duration, character and stimulus of pain,” she ended. Dr. drg. Niekla Survia Andiesta, Sp. 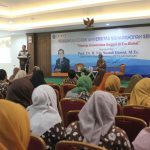 KGA from Internastional Medical University Malaysia attended General Lecture at RSGM Hall of Universitas Muhammadiyah Semarang. 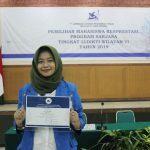 Alumni of Padjajaran University of Bandung added that dentist also needs to carry out another examination such as facial, calcified and soft tissue of oral cavity. Visual examination includes observation of swelling, check using dental and mouth mirror, dental restoration, any change of dental crown, secondary caries or fracture examination. drg. 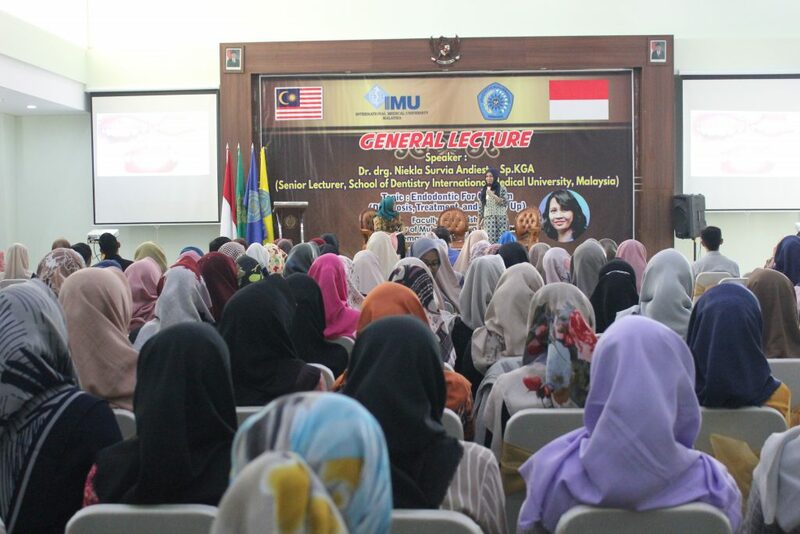 Budiono, M.Pd as the Dean of Faculty of Dentistry Unimus also attended the general lecture. 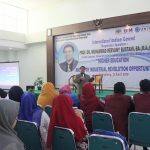 In his short speech, drg Budiono expected this general lecturer could broaden dentistry students’ knowledge that both take the education program and professional program.